A cross-border business-led initiative aimed at attracting multinational companies into the northeast region has been launched. The M1 corridor project aims to drive international investment into the region by highlighting the advantages it has over other areas, primarily Dublin and Belfast. It runs from north of Dublin to beyond Newry and places emphasis on Drogheda, Dundalk and Newry as regional growth centres. 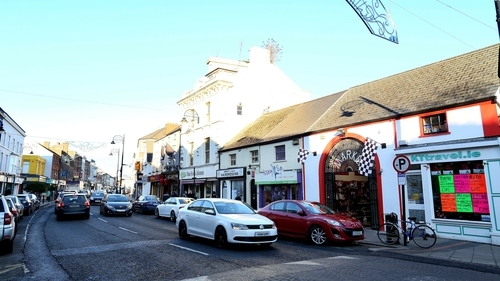 Figures from the All-Island Research Observatory at Maynooth University show there is a population of 2.25 million people within 60 minutes of Dundalk or Drogheda. Connectivity is also being highlighted as one of the region’s main selling points with three airports within an hour’s drive, one in Dublin and two in Belfast, as well as the M1 motorway linking Dublin and Belfast. There are also four sea ports - Drogheda, Dundalk, Greenore and Warrenpoint - and a rail link servicing the region. The project is led by Dundalk Chamber of Commerce, Drogheda Chamber of Commerce, the Mill Enterprise Hub in Drogheda and Oriel Hub Enterprise in Dundalk. Target markets include new foreign direct investment considering investing in Ireland and existing FDI seeking a second site, as well as indigenous industry seeking a second location. The project is also hoping to develop clusters of expertise in the energy, agri-food, research and FinTech payments industries. Paddy Malone of Dundalk Chamber of Commerce said the region has been neglected and has relied on indigenous business for development. Speaking ahead of today's launch, he said: "For countless years there has been far too much emphasis placed on Dublin and this has backfired in terms of spiralling housing, commercial property and wage costs for firms moving to Ireland. The M1 corridor is close to Dublin but is highly cost competitive." Meanwhile, Drogheda in Co Louth has been identified as one of Europe's "micro cities". It has been listed in a report on European Cities and Regions of the future in the Financial Times. Drogheda City Status Group has been campaigning for city status for over a decade.